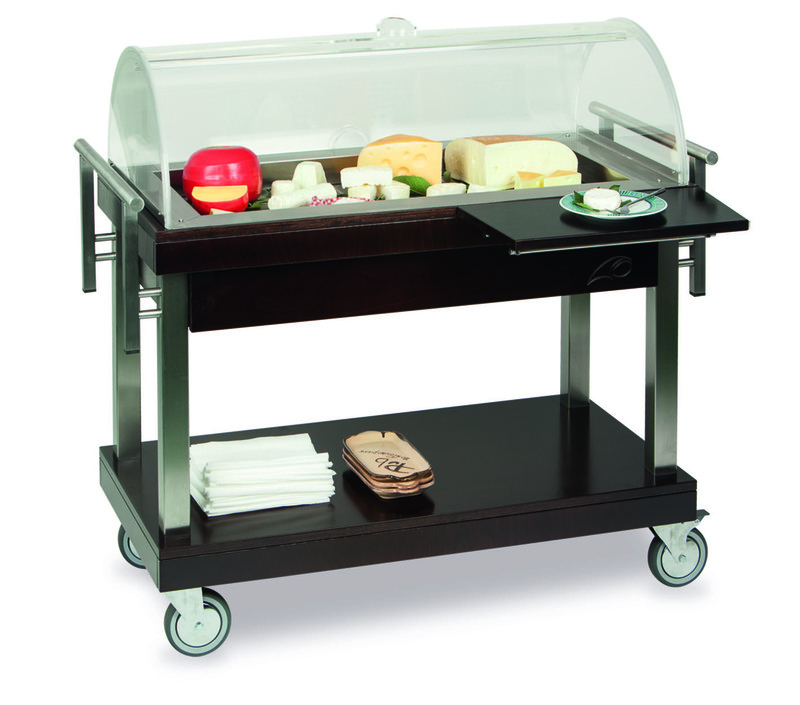 Our newest service trolleys line with an innovative and elegant rounded design. 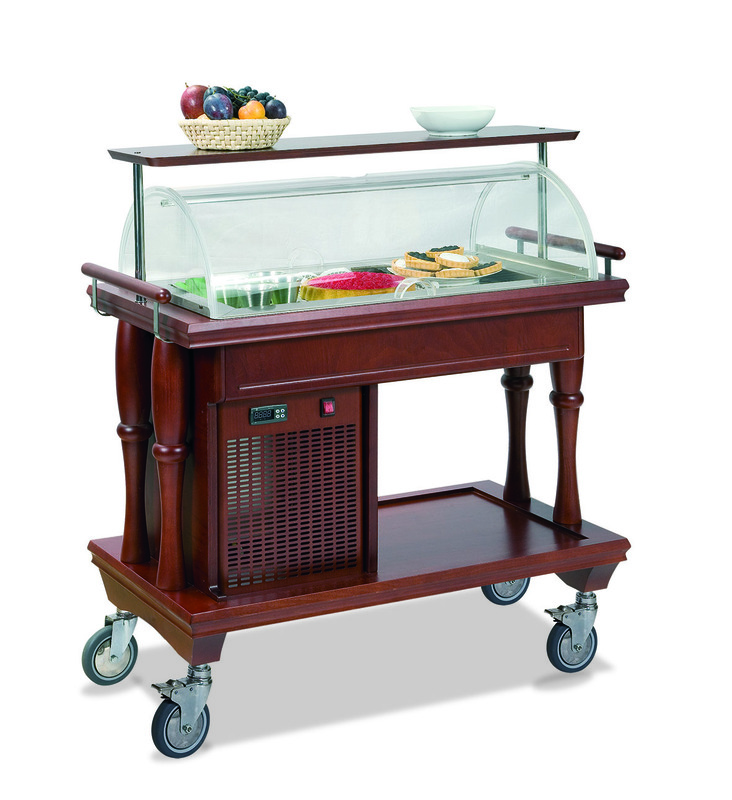 Made of solid wood with 2 or 3 tiers and hemispherical dome. 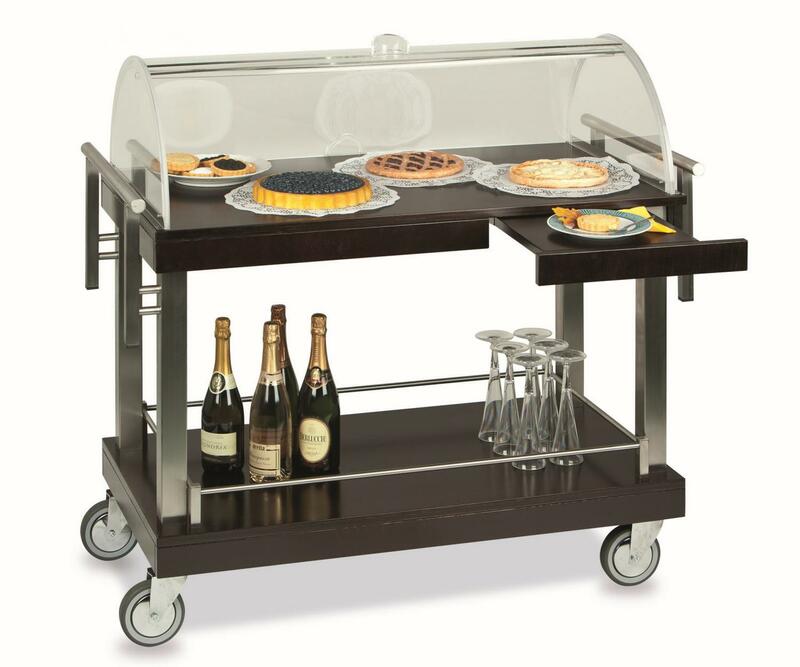 Refrigerated models available. 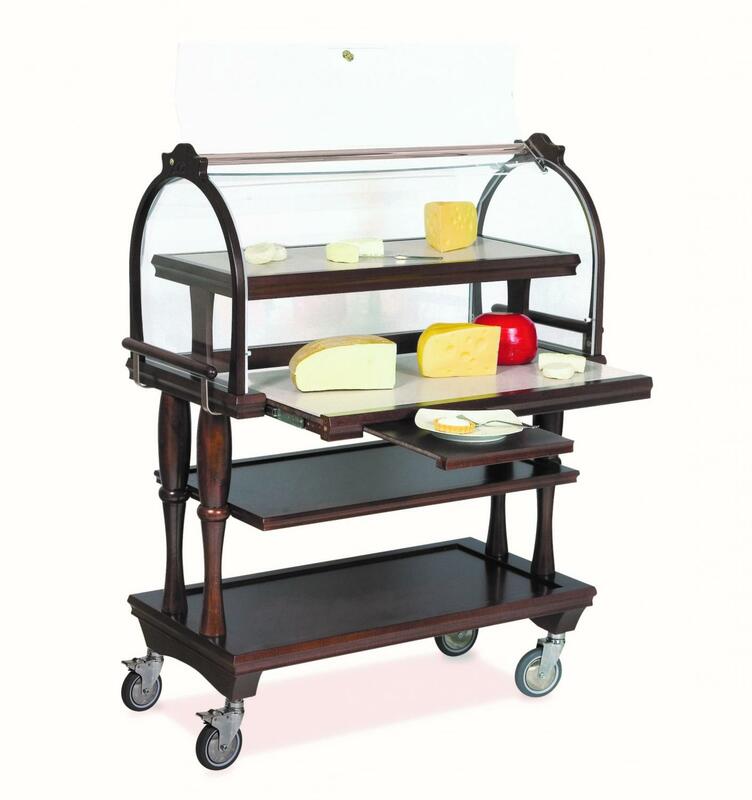 Line of trolleys for pastry and cheese service. 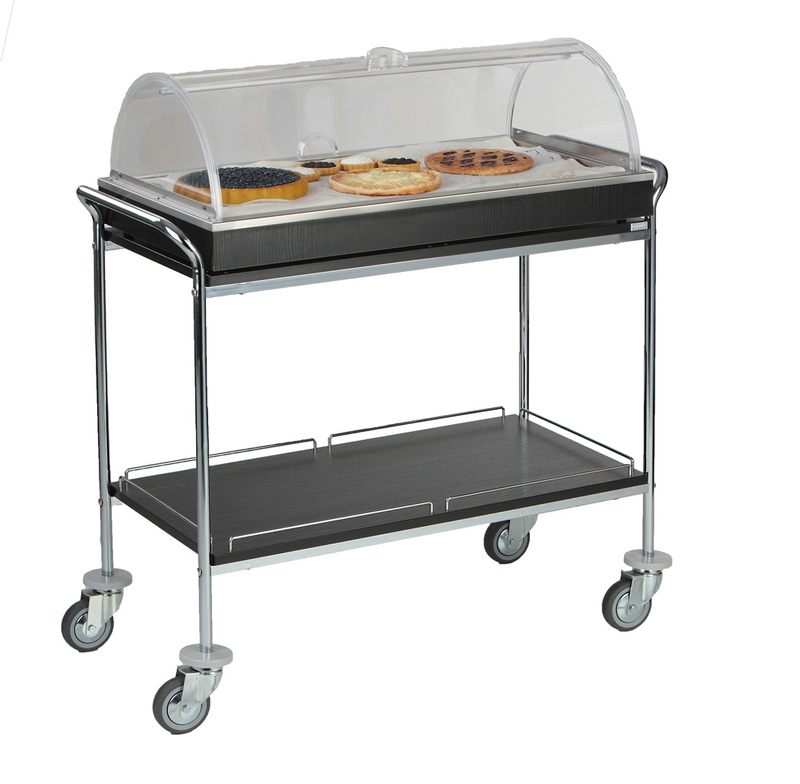 Neutral with double opening dome or refrigerated models available. 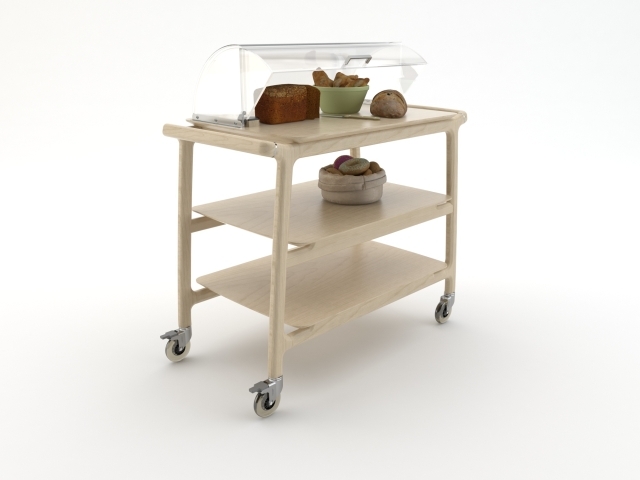 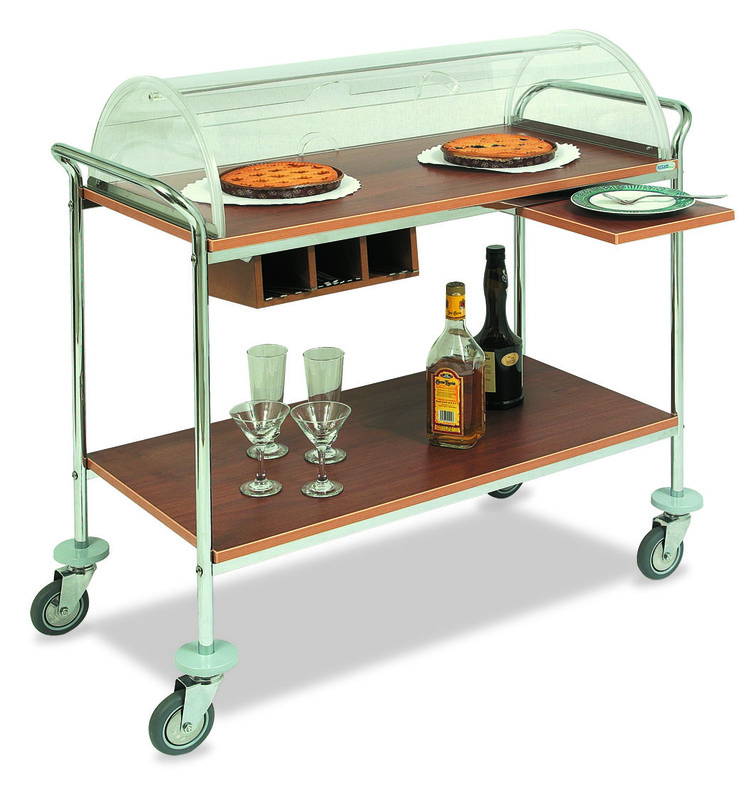 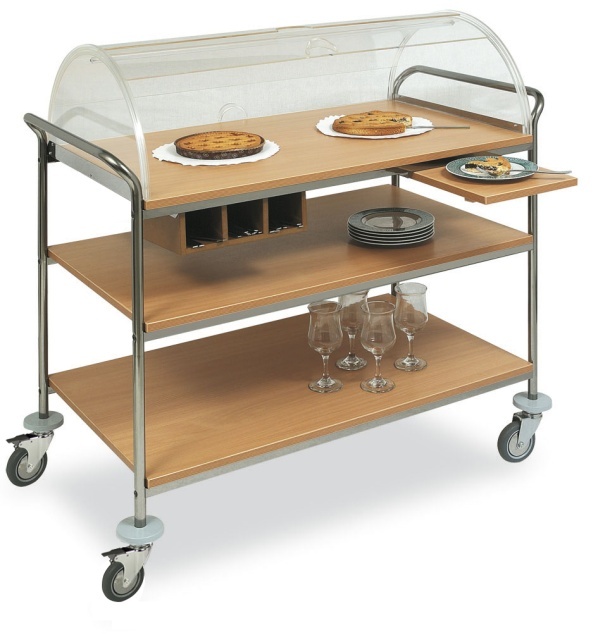 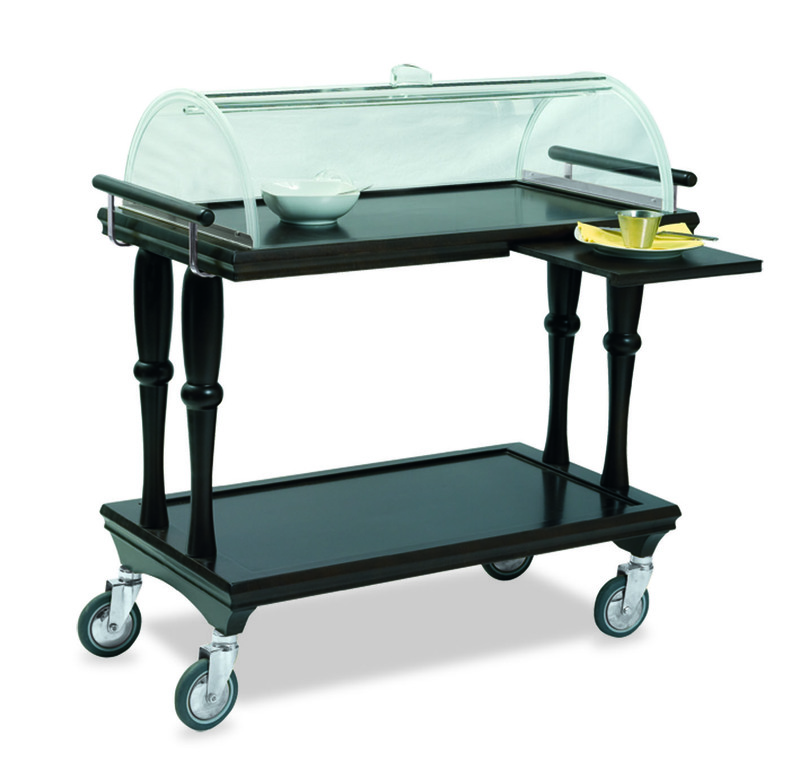 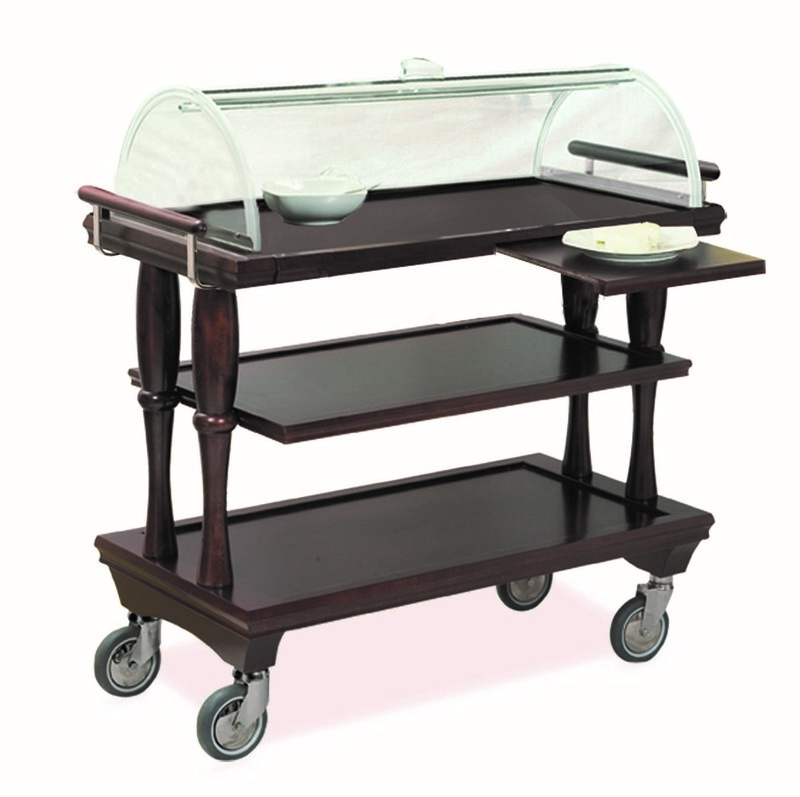 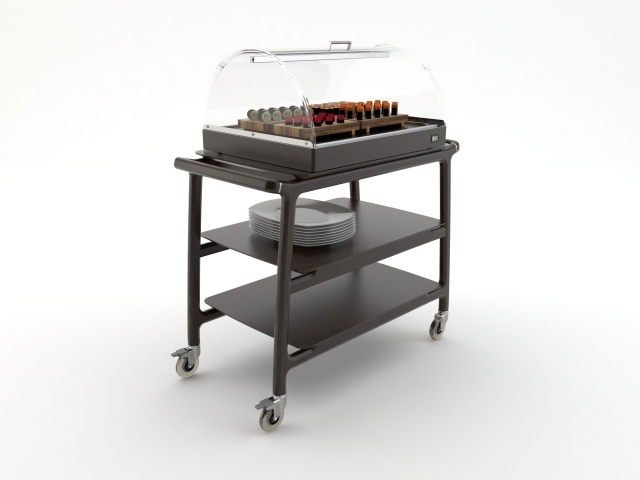 Contemporary solid wood and stainless steel service trolleys. 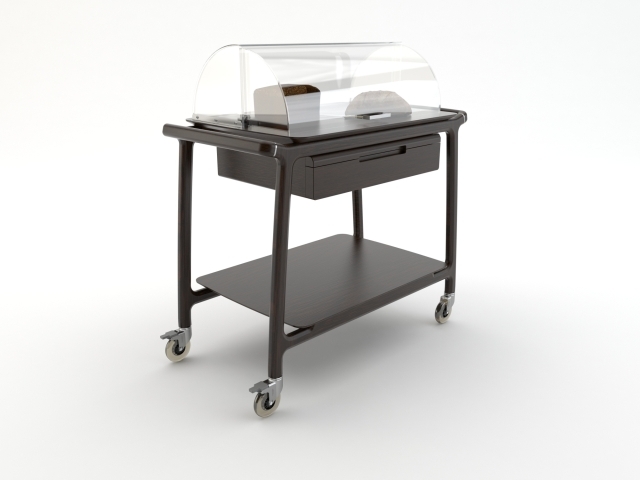 Static refrigeration or with chillings packs models available. 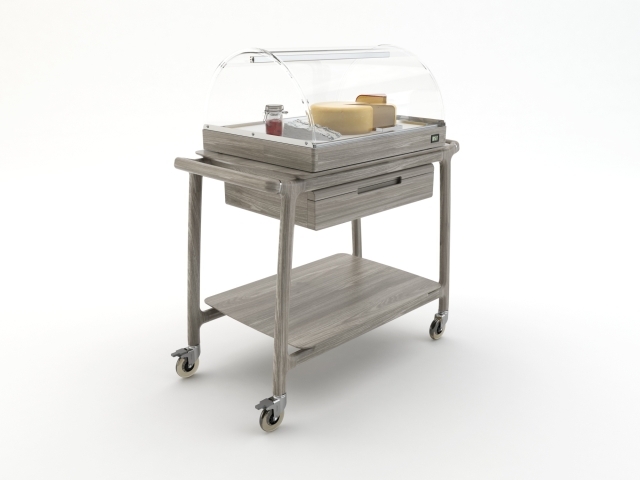 Solid wood trolleys with a stylish and luxurious design equipped with hemispherical dome to protect pastry and cheese. 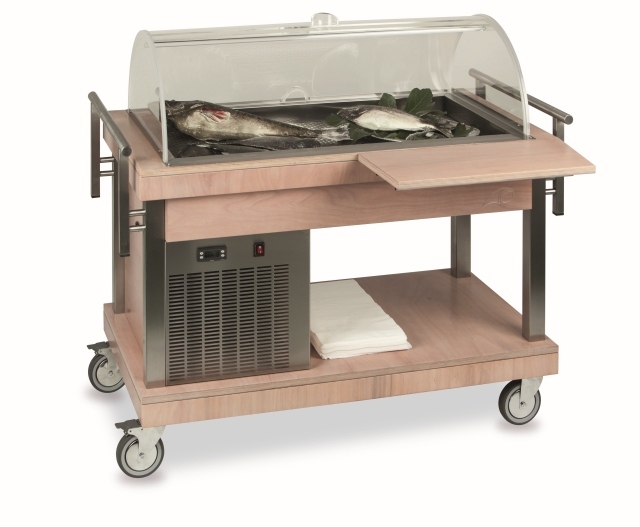 Available neutral, static refrigeration or refrigeration by chilling packs.